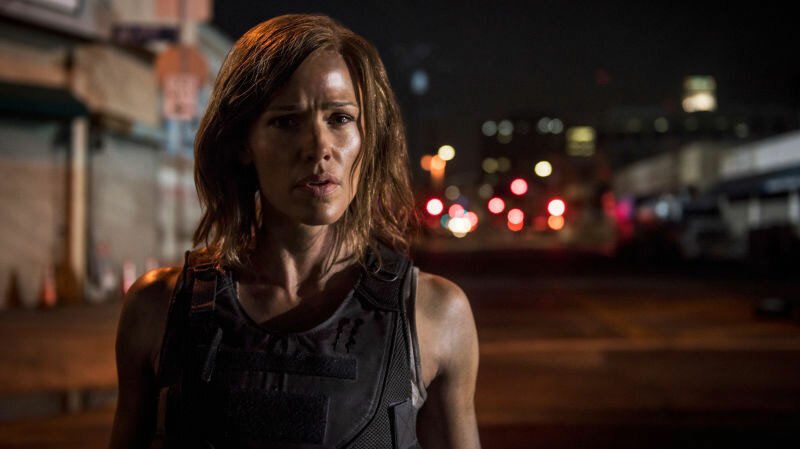 In her new film “Peppermint,” Jennifer Garner attempts to do for vigilante films what Charles Bronson did for the sub-genre in the 1970s. The only problem is that director Quintin Tarantino opened and closed that book in 2003 and 2004 with his films “Kill Bill Volume 1 and 2.” Those films, as faux-campy as they may be, set a new bar for revenge movies that “Peppermint” doesn’t even come close to clearing. Critics are eating the film, directed by Pierre Morel, alive for its lack of originality, and frankly, the movie is guilty as charged. Peppermint (R) 1 hr. 42 min. The Nun (R) 1 hr. 36 min. God Bless the Broken Road (PG) 1 hr. 53 min. The Little Stranger (R) 1 hr. 52 min. There’s nothing about “Peppermint” that you haven’t seen done better before. It is a schlocky movie that only would have been shown in drive-ins back in the 1970s and probably should have gone directly to a streaming service today. It’s an admittedly bad movie, but, forgive me, I still liked it. Going into see the movie, I pretty much knew what I was going to get from the trailers, and “Peppermint” delivered on the promises. The first scene of the movie lets you know exactly what type of brutally violent and gory film you are in for. It’s an R-rated movie for a purpose. Garner’s character Riley North is influenced by Don Pendleton’s “Executioner” series of pulpy novels from the late 1960s and 1970s or those novels’ love-child, Marvel’s Punisher character. It’s nearly a straight-up rip-off those concepts, just gender-twisted. North watches her husband and daughter brutally gunned down in a drive-by shooting, and when the courts fail to deliver her justice, she opts to meet out an extremely violent and again very gory type of revenge. I liked Garner in the role, but I admittedly tend to like her in every role. She still has her action chops, which she honed for six seasons on the spy/thriller TV show “Alias,” and it’s hard not to cheer for her as she takes down the people who ruined her life. The movie is outlandish, but Garner services the cookie-cutter role about as well as anyone could. I could certainly buy her as a supporting super-hero or super-villain in a Marvel or DC movie. Like a slasher movie, the kills are over-the-top and become almost humorous as Garner systematically wages a one-woman war on a drug cartel responsible for the deaths of her husband and child. I’ll admit that I didn’t see the twist with one character coming, but I should have. “Peppermint” is going to crash and burn at the box office. I certainly wouldn’t recommend that you rush out and see the movie in the theater. Save your money for something better. However, if you do like revenge flicks and don’t mind a movie traveling down a familiar path, you might get a mindless kick out of the film when it hits a streaming platform. First showing: Sunday, Sept. 9 at 2 p.m.
Second showing: Wednesday, Sept. 12 at 7 p.m. Length: 3 hr. 5 min. Mixed initial reviews couldn’t keep “The Sound of Music” from becoming an almost instant classic upon its release in 1965. Just four weeks after its debut, the film, directed by Robert Wise with music by Richard Rodgers and Oscar Hammerstein II, overtook “Gone With the Wind” as the highest-grossing film at the U.S. box office and held the distinction for five years until the blockbusters of the 1970s and their higher ticket prices pushed it aside. 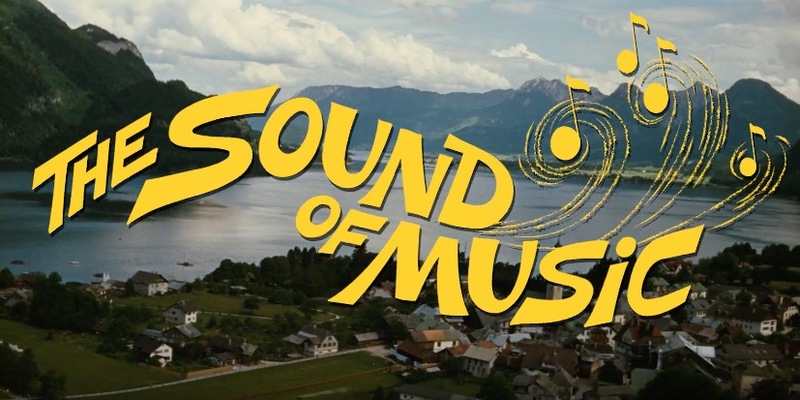 “The Sound of Music” is definitely a case where the public knew better than the East Coast critics who attempted to crush the movie upon its debut. The musical is a loose adaption of Maria von Trapp’s memoir “The Story of the Trapp Family Singers,” which tells the tale of a family that fled Austria to Switzerland in 1938 when Adolf Hitler’s Nazi troops overtook the nation. It stars the wonderful Julie Andrews as Maria, the governess of retired naval officer Captain von Trapp’s (Christoper Plummer) seven children. The film, nominated for 10 Academy Awards and the winner of four including Best Picture and Best Director, is admittedly saccharine sweet and lacks historical veracity, but the movie which centers around Maria winning over the love of the children and then the captain is delightful. Andrews zest and charisma as Maria is captivating in the beautifully shot film. The romance between Maria and Trapp is altogether traditional yet still touching thanks to the gifted performances by Andrews and Plummer. The plot of the family attempting to escape the Nazis’ grip makes it a musical that even ones who don’t like musicals can abide. The Malco Razorback Cinema is holding a 2 p.m. Sunday and a 7 p.m. Wednesday showing of the film in conjunction with Turner Classic Movies and Fathom Events. The sweeping nature of the film was made for the big screen, and there is no telling when or if the film be shown again in large-screen format.